Even now with all our understanding and acceptance of genre-mashing, Massive Attack’s opening salvo remains as bold and eclectic, as utterly assured a musical message as it was upon release. One nation under, well, two grooves: that’s about the best way to describe Britain as a dance nation, circa 1991. During this -- arguably dance music’s most fertile year, and the last before the scene split both over-ground, and into myriad sub-genres -- house was the dominant style: big of sound, exhilarant and rushing. From Kraftwerk to Detroit and Chicago, then on to London, Manchester and Brighton -- dance right there, right then, was big soul voices and raised hands, enraptured. However, across town in small, sweaty cellar clubs, an offshoot scene was building, in praise of the break-beat, fuelled by the very tracks from which the hottest samples were being quoted. Soul, rare groove, jazz breaks, and James Brown were mix-matched: smoky, glorious and very cool. Anything went; eclecticism, and the crisp, crackly authority of looped beats. Into the middle of which, decidedly lopsided (more hip-hop than house), came Blue Lines, the debut album from Massive Attack. Released in the April of that year, Blue Lines has over the intervening two decades come to be seen as a classic, but was -- in those times pre-Internet, previous to our current split-second consumption of trends -- initially slow to gain attention. Unlike today, critics didn’t swarm across its every nuance, nor did TV ad-breaks immediately cool-hunt every other track for audio. In and out of the British Top 40 album charts inside a month, the long-player nevertheless stuck around, hanging onto the lower 100 for 73 weeks. Clearly the mainstream weren’t listening -- but to the steady stream of converts arriving word of mouth, Blue Lines was to prove a revelation. Even now with all our understanding and acceptance of genre-mashing, Massive Attack’s opening salvo remains as bold and eclectic, as utterly assured a musical message as it was upon release. The album’s (for its time) innovative fusing of hip-hop with dub, soul and electronics still stands as one of those rare moments when everything -- somehow -- comes together just right. From what must be one of the most urgent openers, “Safe from Harm”, with its swirling storm and near-sinister bass-to-beat playoff, across the skittering, seemingly effortless construct that is the title track, to the new dawn sanguine of its “Hymn of the Big Wheel” conclusion, Blue Lines puts not one single foot wrong. That’s without even mentioning arguably one of the greatest tracks of that decade, nestled in as track number six: built from strings and heartbreak and looped-beats—“Unfinished Sympathy”. The track was to be the making of the album, both for taking Massive Attack into the mainstream charts, but also for its widespread adoption as the come-down track of choice for any party-goer (read: MDMA taker) that year -- an appropriation which did much to suggest Massive Attack’s alignment with the genre to be called trip-hop. Much is made of Blue Lines’s supposed creation of trip-hop, that narco-paced inner voyage; part soother, part sinister. But regardless of the fact other acts were also experimenting with slowed-down or reduced-BPM break-beats (just as, by contrast, techno was speeding things up), to simply nail Massive Attack’s first album for being this, that or the other, feels churlish. Solely because -- for all its collision of musical influences and mood; its mixing and matching of (that which would become known as) "turntablism" with real instrumentation, let alone the album’s long-term impact on the broader world of pop -- Blue Lines landmarks so many things. 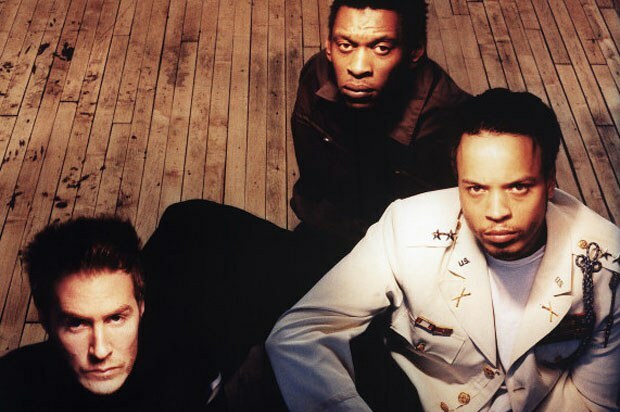 Massive Attack’s chief achievement was to provide the first, truly viable British response to the then-rising -- and stubbornly indigenous -- sensibilities of American hip-hop culture. Until their debut, and with few exceptions, rap had (despite passionate pockets of UK interest) simply failed to translate, those efforts playing out for exactly what they were: mimicked postures, overstretched long-distance. Blue Lines would change all that. Emerging from the otherwise off-map and for that time artistically-inconsequential city of Bristol in the south-west of England, Massive Attack swerved inner-city America entirely in favour of a return to roots, instead taking a lead from Bristol’s large Jamaican community. A crucial factor, because what stalwart rappers 3D, Daddy G and Tricky delivered on the album was not so much a British appropriation of rap, but more a direct relation adopted from Jamaican dub sound-system MCs, rap’s foremost inspiration. Rejecting American rap’s fast-emerging stock lexicon-in-trade, Massive Attack maintained its skittish use of prose cut-ups, but spoke in tongues that were resolutely home-turf. Furthermore, the use of sprechgesang (half-singing, half speaking) kept their delivery -- crucially, given the album’s subsequent broad appeal -- closer to the melody. Yet, while on the whole Blue Lines serves to uplift (swimming in sunshine, buoyed by the joys of its musical touchstones, along with the sweetening vocals of Shara Nelson and Horace Andy), as reportage the album often plumbs dark depths. Braggadocio aside, rap is fundamentally personal in comparison to pop’s clichéd prose. Yet for affecting a more intimate, sometimes almost whispered tone, Massive Attack brought rap in closer, transforming it to become inner-voice -- in turn, revealing its men to be seemingly unsure of themselves at heart. Around every party and opened-top car cruise, the creeping fug of reefer-paranoia edges: the downside of free-living. Tempers are barely contained, lovers risk a beating for eggshells stepped on and the nagging sense that drifting days spent out of work and in pursuit of local peer respect will eventually lead to undoing. 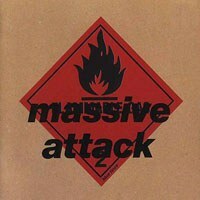 Musically, Massive Attack did more than echo dub; they built by its rules. For dub is all about space within the mix, allowing the rhythms and undulations of its repeats to reverberate. After all, dub is the music of -- to quote from the group’s second album, Protection -- “Jamaican aroma”, and stress and clutter just won’t do. So, while reggae’s influence is blatant on “One Love”, check out “Five Man Army” or the title track, where that genre’s defining rule -- and one of music’s abiding truths -- that’s it’s often what you don’t play that counts, holds sway. As with classic hip-hop, Blue Lines indulged in sampling -- those often mysterious, sometimes playful musical quotes and references; covert nods to those in the know. Piratical treasures it would be impossible to secrete in our Google age, seemingly mapped free of the unknowable. More so, for the simple fact that, eight short months after Blue Lines, the landmark Grand Upright v. Warner copyright case made it law to seek pre-release clearance for -- and therefore opened the door to huge fees payable on -- sample use, which effectively priced samples beyond most acts’ recording budgets. However, for all its underground thought and means, it cannot be overlooked that Blue Lines also marked a commercial shift in the relationship between dance music and the mainstream music industry. Previous to mid-1991, dance music had proven steadfastly immune to major label advances, instead choosing to run itself. Newly-affordable bedroom samplers and the role of handy backstreet vinyl-pressing shops (let alone the lax state of copyright laws) kept dance creatively nimble, self-produced and (borderline trunk-of-the-car) independently distributed. All of which served to render it -- irritatingly, for the majors -- utterly self-sufficient. Furthermore, dance music had always been about the 12” single, not the preferred, higher mark-up, industry format of choice -- the album. So when Blue Lines proved (along with Unknown Territory by Bomb the Bass and Seal’s first album, all released within months of each other) that dance music could, if given the opportunity, creatively handle -- but more importantly, sell -- albums, the major labels were across the dance-floor in a shot. In short, no Blue Lines: no Leftfield, Chemical Brothers or Portishead’s Dummy. Fat of the Land by the Prodigy couldn’t have happened; Bjork’s Debut wouldn’t have come to pass. And it’s doubtful Norman Cook’s Fatboy Slim guise would have championed. Looking back, it’s hard to fathom Blue Lines is 20 years old, simply because it remains relevant. 3D’s stencil-based sleeve-art still resonates; its nods to and progressive riffs on street-graffiti did much to legitimise that hotly-contested art-form, bridging the street-gallery divide over which Banksy would later cross. Furthermore, sonically, the album has yet to age, in the same weird way classics from any decade refuse to. Partially because the influence of dance and hip-hop still reverberates in our pop palettes two decades on; if not stylistically, then for modern pop production’s insistence on a heavy bottom-end -- the rattling bass kick and boom of that distant Jamaican sound-system -- which mainstream records lacked previously. Granted, the album’s deployment of rap draws a line in history, previous to which it could never have emerged. Yet Blue Lines is timeless stuff. Massive Attack smartly pondered beyond that which rap, sadly, became too much about -- the easy sway of machismo–in favour of life’s eternal concerns: doubt, sadness and the warmth of smiles; weakness and strength -- and love. The same record-like cycles we all revolve through, but can never resolve; the conundrums to which great music becomes our antidote, the soothing balm -- our accompaniment for the road. As Oscar Wilde once assessed, “The moment you think you understand a great work of art, it’s dead for you.” To which, I can only conclude: long may Blue Lines mystify.